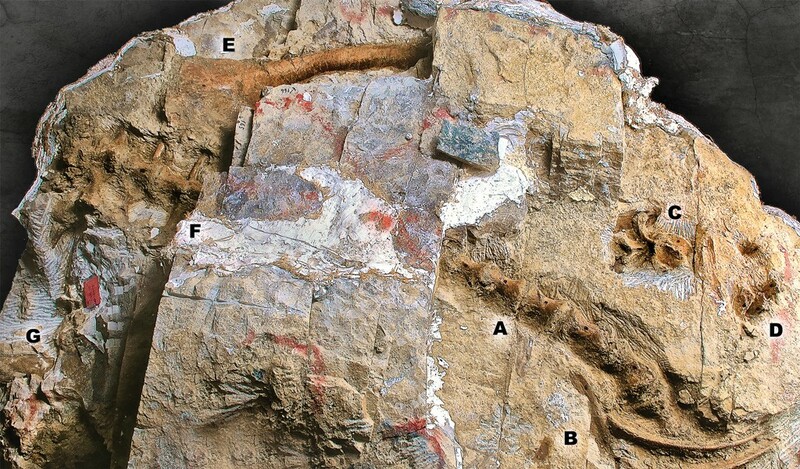 In 2014, an unlikely discovery was made in the Judith River Formation of Montana: a massive Ankylosaurid, perhaps the best preserved of its type ever found in North America. The specimen’s axial skeleton remains largely intact, articulated from the iconic clubbed tail to the end of the cervical vertebra. Even more spectacular is that this skeleton (TE-072) has a majority of its skin, soft tissue and armor keratin preserved The skeleton is approximately 21 feet long, making it one of the largest Ankylosaurids found in N. America. The Ankylosaurs are members of an unusual group of armored dinosaurs that existed during the Late Cretaceous epoch. They are relatively rare in the fossil record and are generally described from isolated bones and partial skeletons. 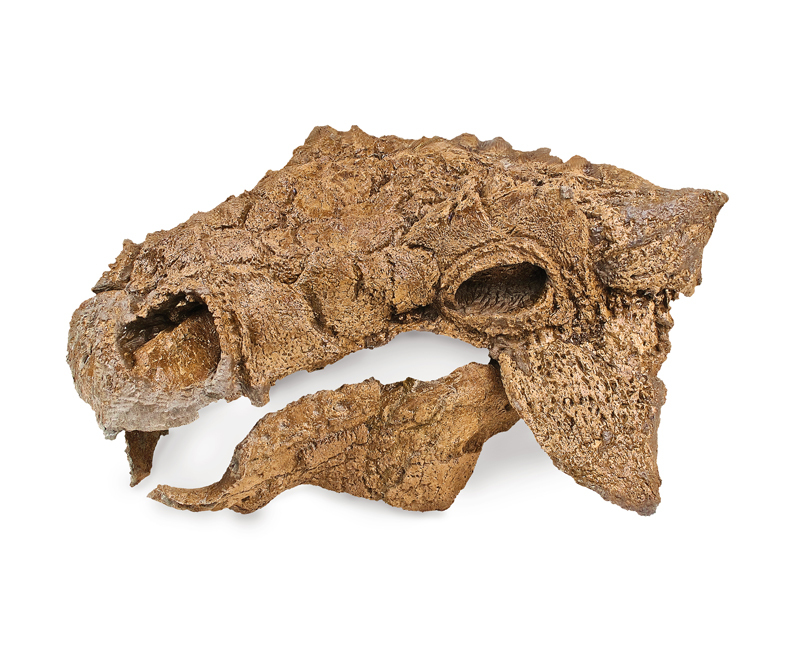 Determined to be a new genus and species and named Zuul crurivastator by the Royal Ontario Museum in May 2017, the specimen represents one of the finest and best preserved specimens of Ankylosaurid yet to be discovered. 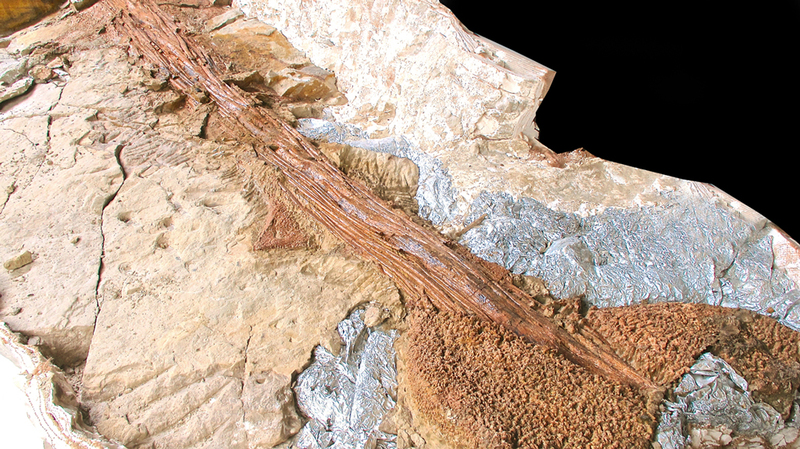 This 75 million-year-old fossil shows exceptional preservation of the articulated skeleton and includes fine preservation of soft tissue and intact armor plates. 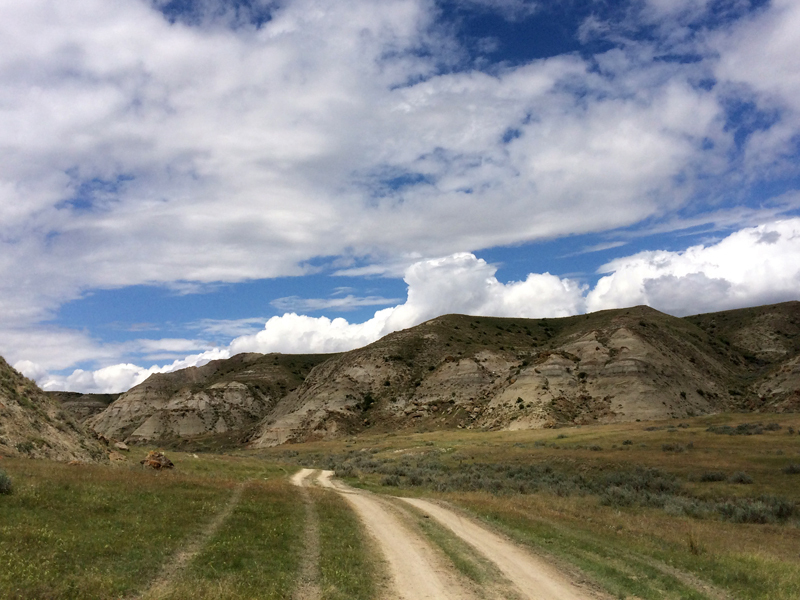 Zuul was discovered in the summer of 2014 on a private ranch in north central Montana, in the heart of the Upper Judith River Formation. 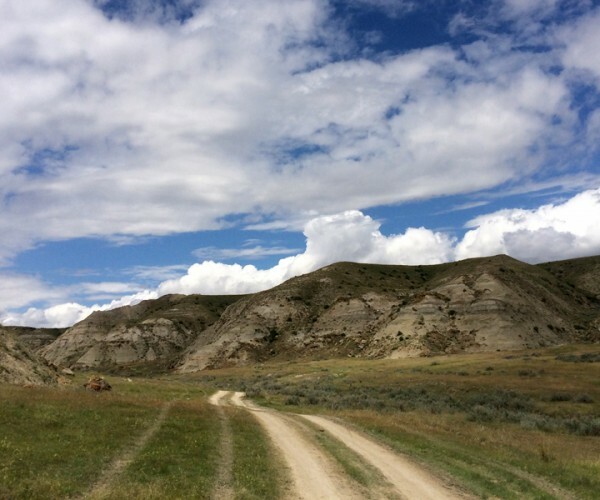 The Judith River Formation is part of the Judith River Group, which is a series of Campanian Age sedimentary formations, running from the southern regions of Alberta and Saskatchewan, Canada into northern and central Montana in the United States. This group is known for the excellent preservation of its diverse flora and fauna. 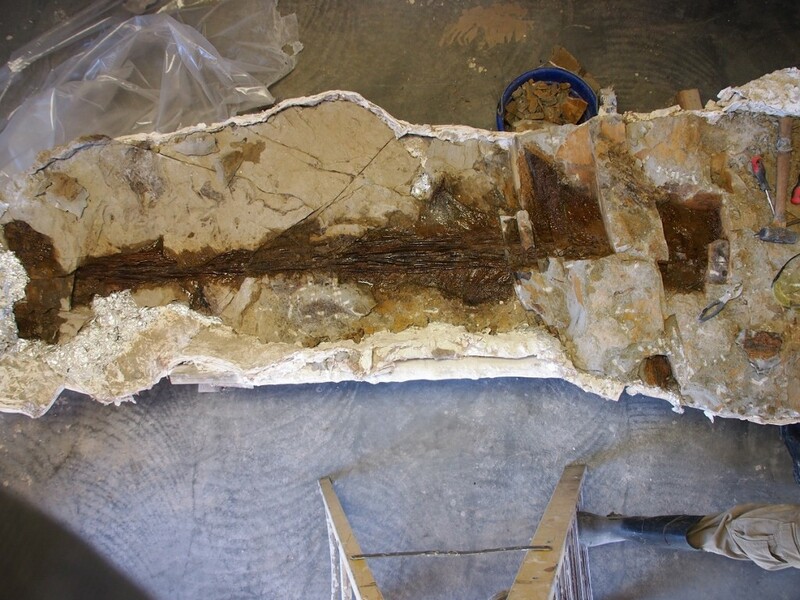 Zuul was discovered in a channel lag deposit, which was being excavated for a disarticulated Gorgosaurus liberatus specimen (TE-036). 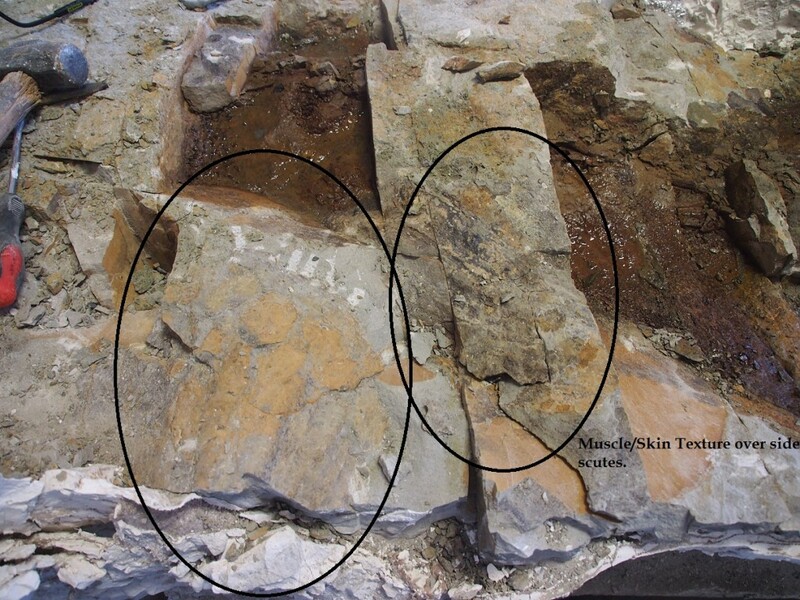 Nearly all of the articulated specimen was preserved in a siderite concretion formed from ultra-fine silt/sandstone. 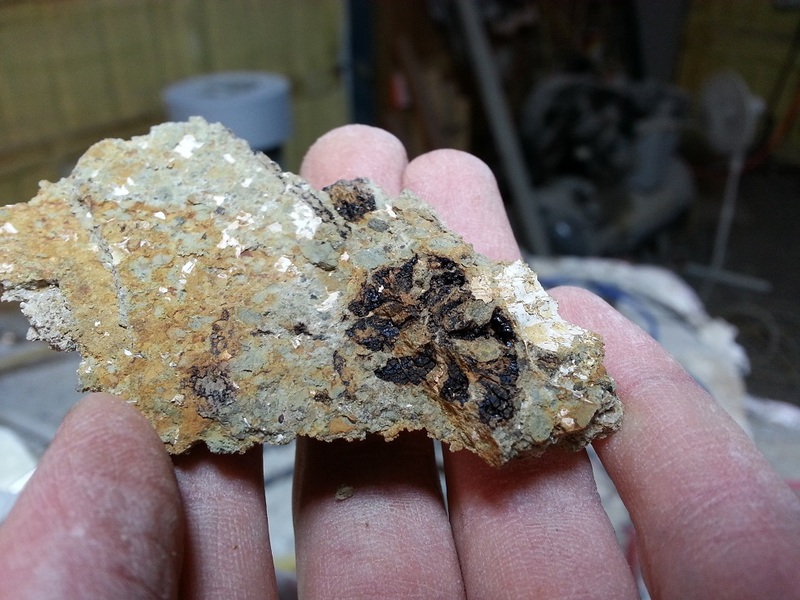 Contained within this concretion are numerous exquisite plant fossils, which exhibit the detailed preservation of which this matrix is capable. 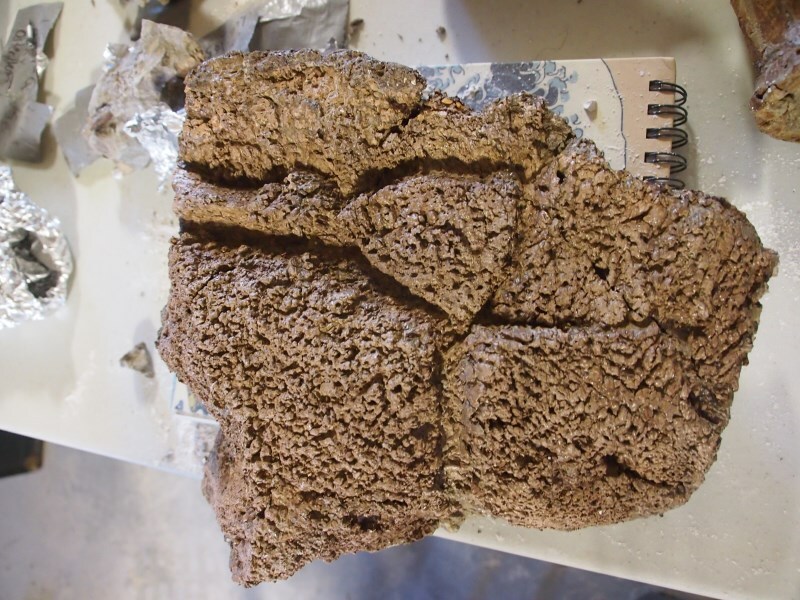 The unlikely discovery of Zuul, nearly 30ft from the edge of the exposure and beneath 40 feet of overburden, means none of the fossil had weathered or had been exposed to the elements. 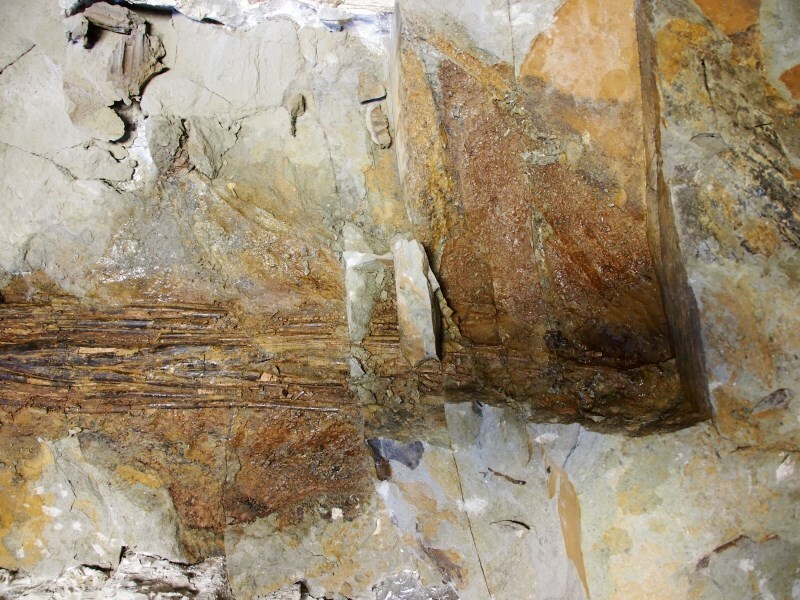 This rare occurrence is ideal for fossil collection, as the specimen remains intact with minimal deterioration to the fossil material and scientific data. 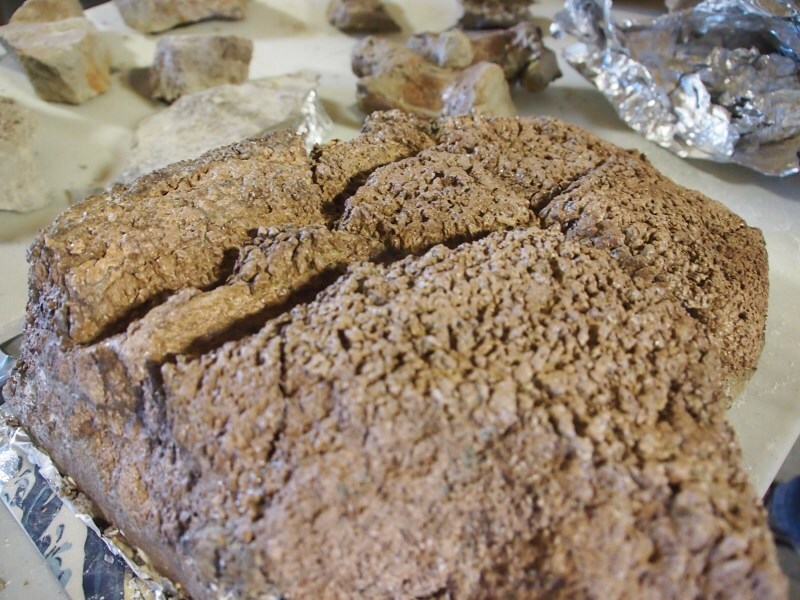 The specimen Zuul was recovered in two oversized blocks, one containing the tail and one containing the body and head, to maintain the integrity of the site and prevent damage to soft tissue and preserved materials valuable to science. 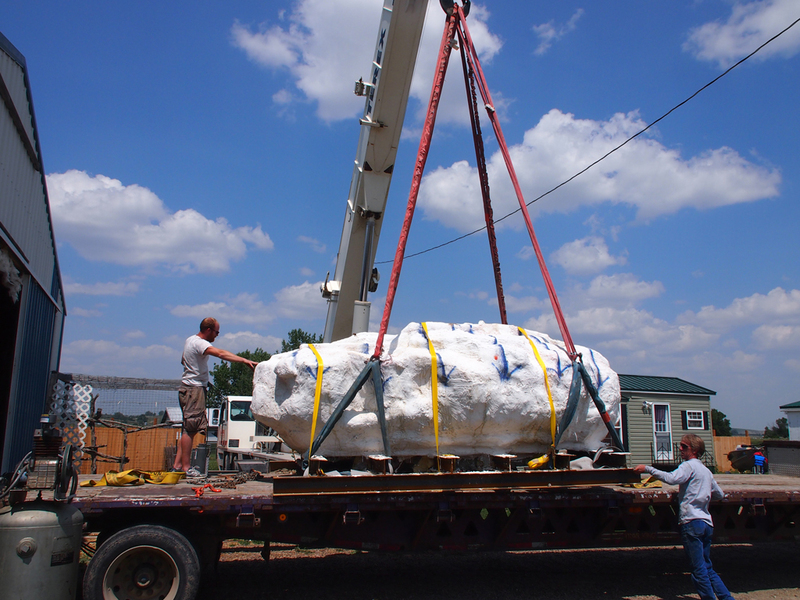 The main block weighed a total of 21 tons after it had been safely prepared for extraction. Due to the abundance of delicate soft-tissue preservation, the majority of the specimen has not been exposed from the matrix. This preserves the scientific integrity of the specimen until further detailed research can be conducted. Zuul was preserved ventral side up with an axial skeleton fully articulated from the club through the end of the cervical series. 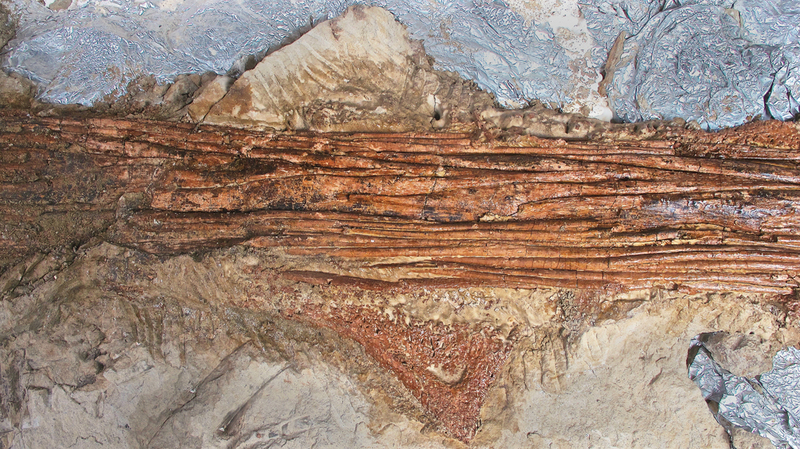 Currently exposed elements include the ventral side of the articulated dorsals, articulated caudal and tail club, several disarticulated dorsal ribs and cervical vertebra, and partially articulated ischium and sacral vertebra. 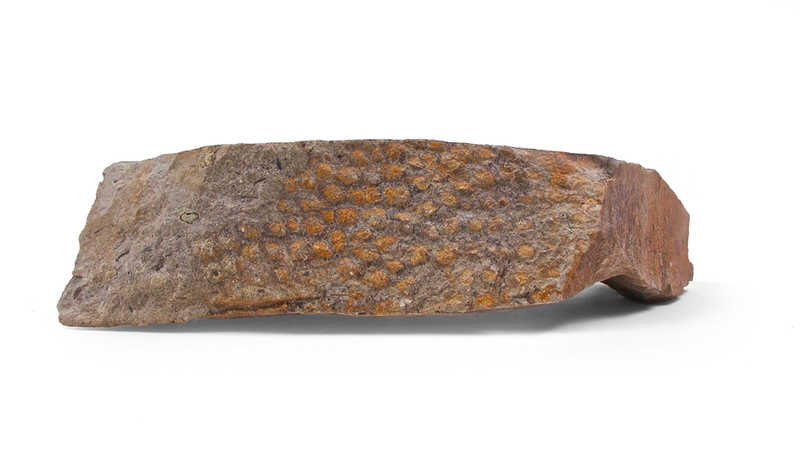 Several intact osteoderms of various sizes including armor scutes have also been exposed. 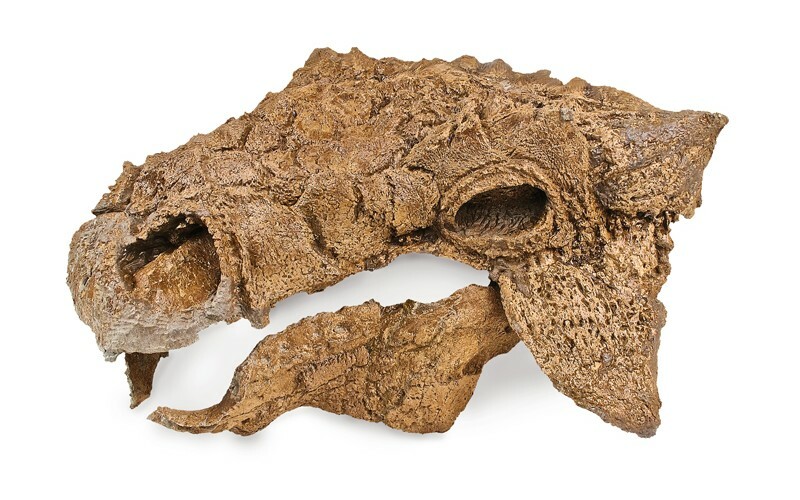 The skull was disarticulated from the cervical vertebra and has been fully prepared to assist in species identification. 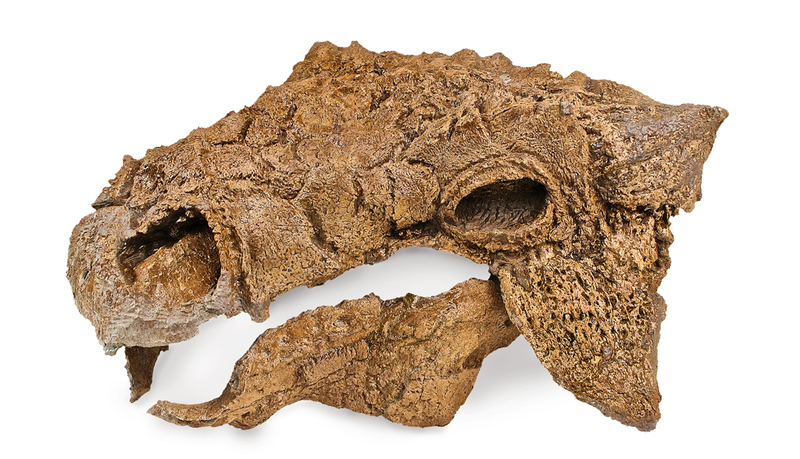 The method of preservation and location at the time of discovery has preserved Zuul as an exceptional museum- quality specimen. Most notable is the abundance of soft-tissue preservation in conjunction with a nearly complete articulated axial skeleton. The bones are well protected by the matrix and show excellent surface texture and detail. 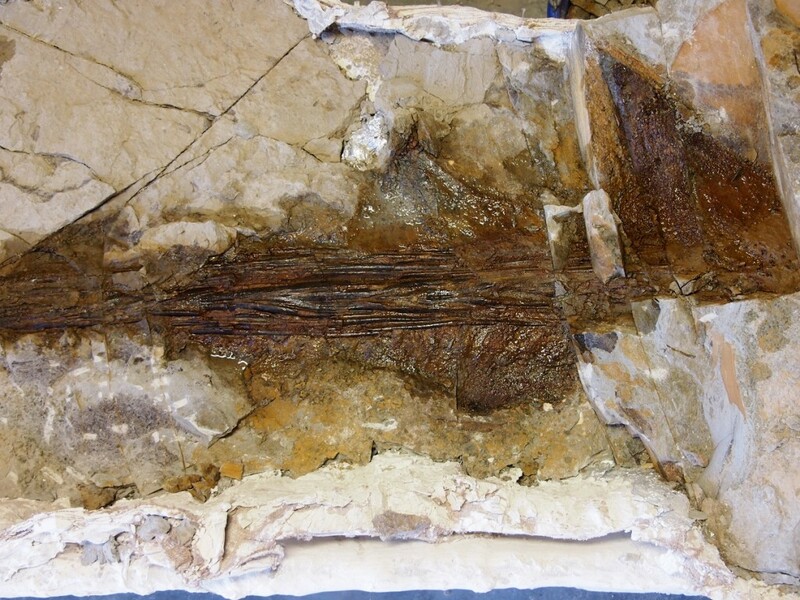 The patina of the fossil is medium to light brown, which is consistent with fossils found in the Judith River Formation. 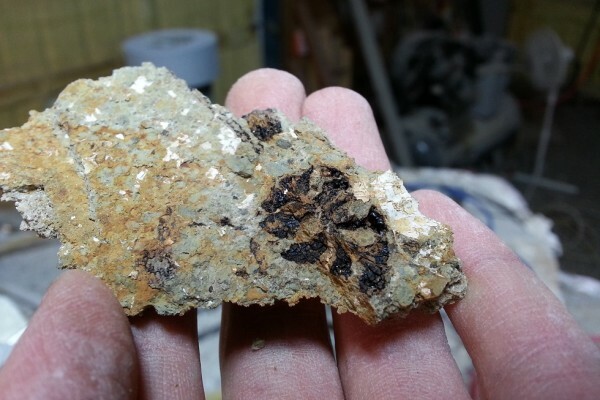 There is no sign of “pyrite disease” or other mineral issues that would represent a problem with future preservation of the fossils. With limited examples of the North American Anylosauridae available, Zuul will allow for a breadth of new information about this unusual family. 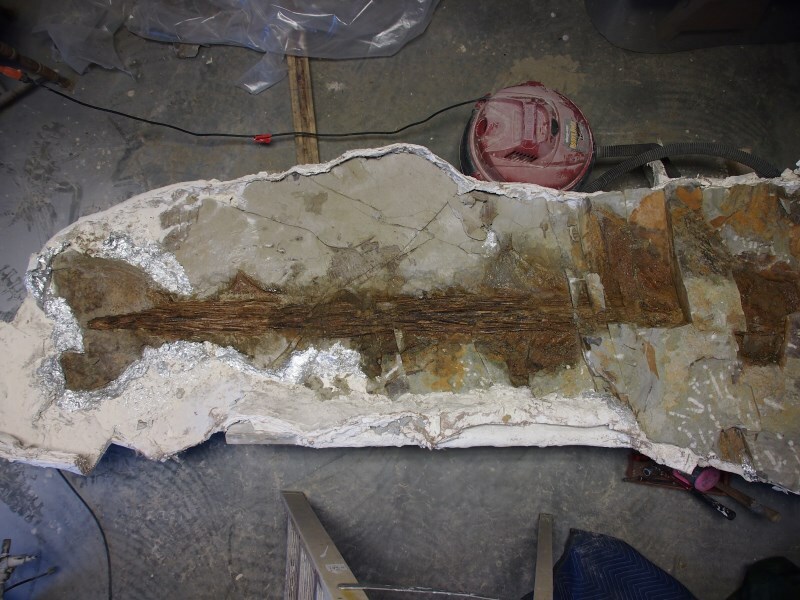 Articulated bone position, skin texture, preserved keratin structures, and possible muscle layers and orientation are preserved and may support or provide new information about Ankylosaurid morphology. After study by the Royal Ontario Museum, Zuul, appears to be one of the best preserved examples of Ankylosaurid from North America. Skin preservation appears on nearly every exposed area of the specimen. 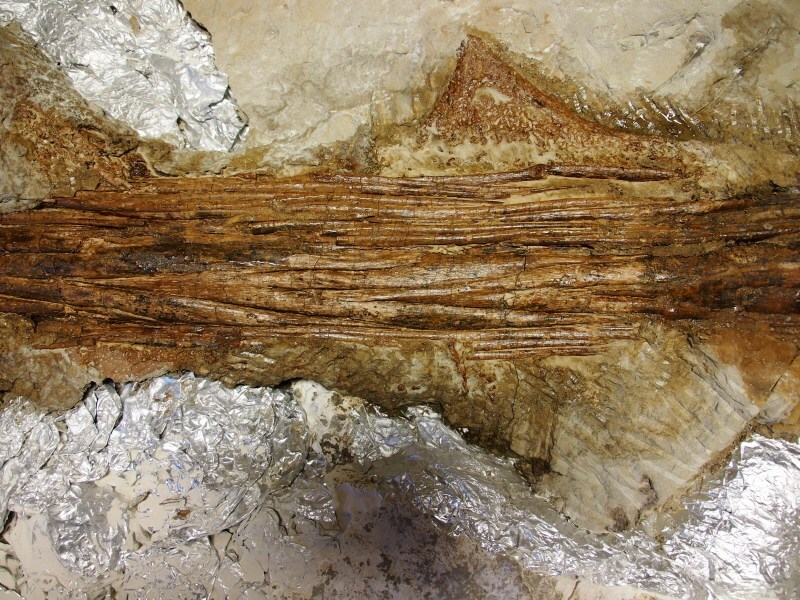 The preserved skin layer sits around 3 inches above the fossil bone, suggesting mummification and the preservation of soft tissue elements preserved within. 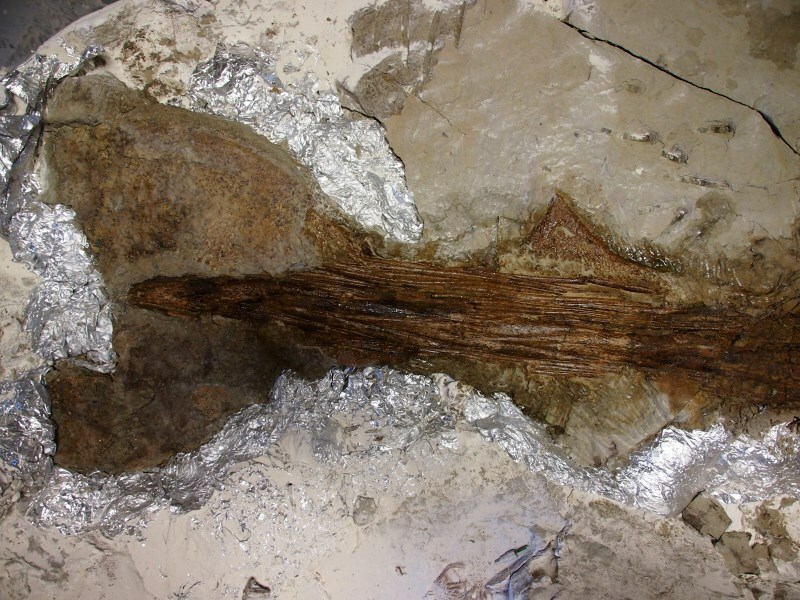 Thick layers of tiny osteoderms (average of 1cm), estimated in the thousands, lay embedded between the outer skin and fossil bone, further supporting evidence of subcutaneous soft tissue preservation. Exposure of soft tissue has been minimized, but several areas are known areas of soft tissue preservation. Several of the major lateral osteoderms on the dorsal side of the tail still retain evidence of their keratin coverings. C. Skin layer and soft tissue area from the belly to the ischium. 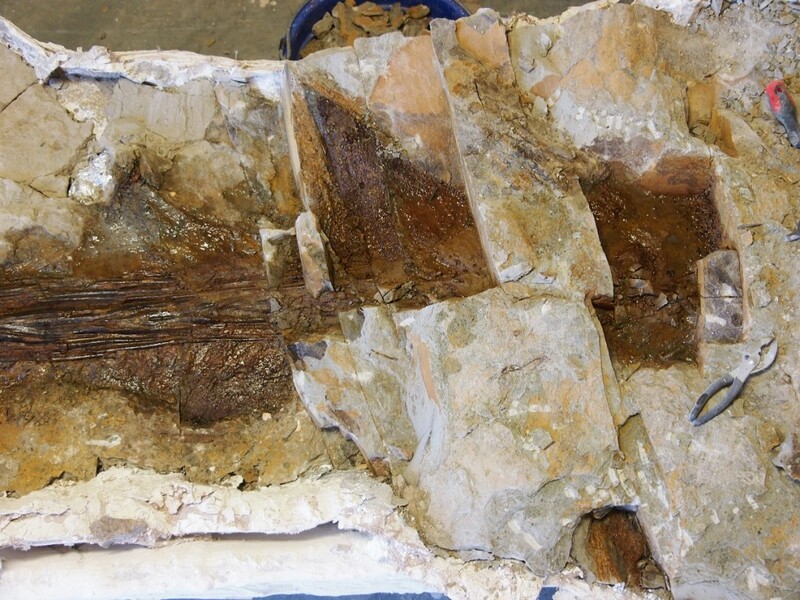 The skull was isolated from the main block, stabilized, jacketed, and removed for preparation. The right dentary. Note the articulated small scutes below the dentary on the second picture. You can see a tooth in the 1st picture. Top view of the lower portion of the tail. You can see the fused caudals, tendons, tail club, triangular scutes that run laterally and increase in size from the distal to the proximal end. Muscle and skin preservation over the lateral scutes. Top view of the lower portion of the tail. Top view of the lower portion of the tail showing the tendons, vertebrae, and scute. After microblasting the surface. Tail club section that was removed in the field.